Ross Bailey’s pop-up shop booking platform has attracted over £1m investment from the angels behind Hailo, Trivago and Pinterest, proving that age isn’t a barrier to success. 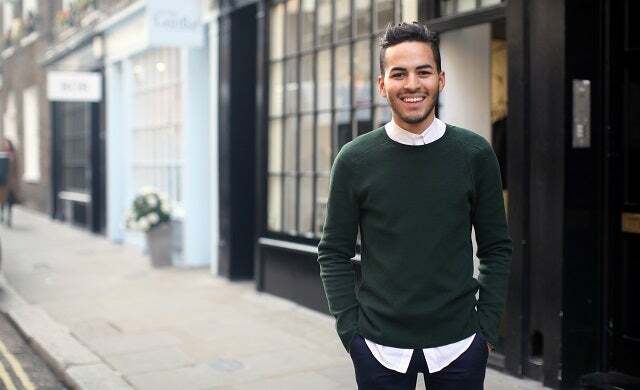 Having launched the business in February 2013, 22-year old Bailey has already created a lot of noise around his platform which makes “booking a shop, as easy as booking a hotel room”, and now has over 250 spaces nationwide and partnerships with 4,000 brands and retailers. Inspired by a local ad to ‘rent this shop for £300 per week’, Bailey questioned why there wasn’t the option to rent all shops on a weekly basis and, after testing his idea by launching his own series of pop-up outlets, Appear Here was born. Now with 10 employees and ambitions to “completely disrupt the commercial property industry”, the London-based entrepreneur is rapidly scaling the business to help start-ups find trading space and says it “feels good”. Bailey’s also keen to grow his client portfolio having already enlisted several leading brands and corporations including the likes of Google, Microsoft and the BBC. A keen businessman from a young age (at 12 he ran a local dog-walking business), Bailey is quick to point out that Appear Here is “by no means any less serious a business opportunity because a young guy is behind it”.